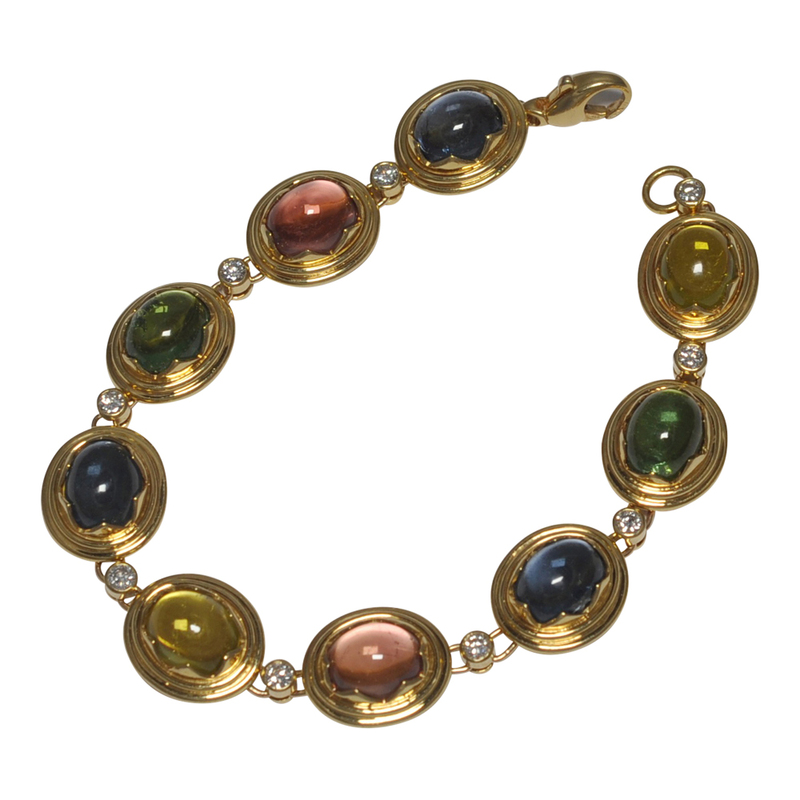 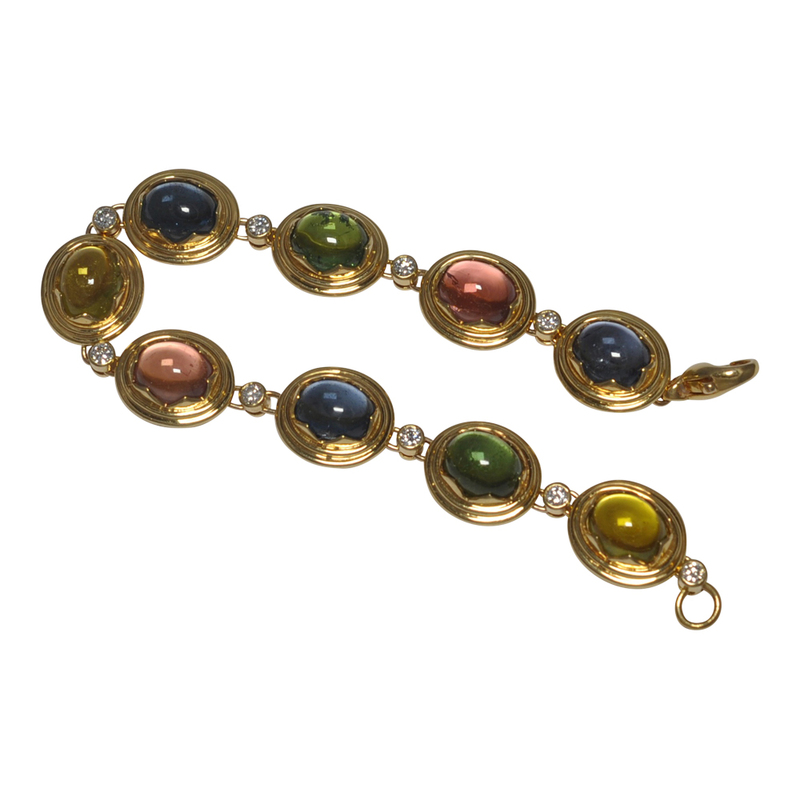 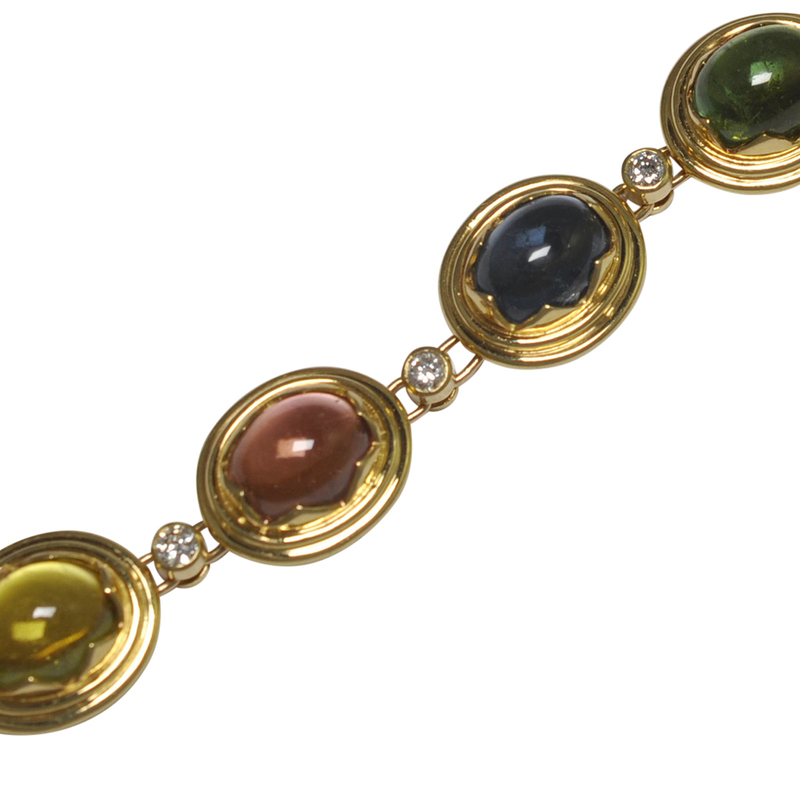 French multi coloured cabochon tourmaline and diamond bracelet; formed of oval stones each set in a gold pointed scolloped mount creating a star shape and linked by brilliant cut diamonds. 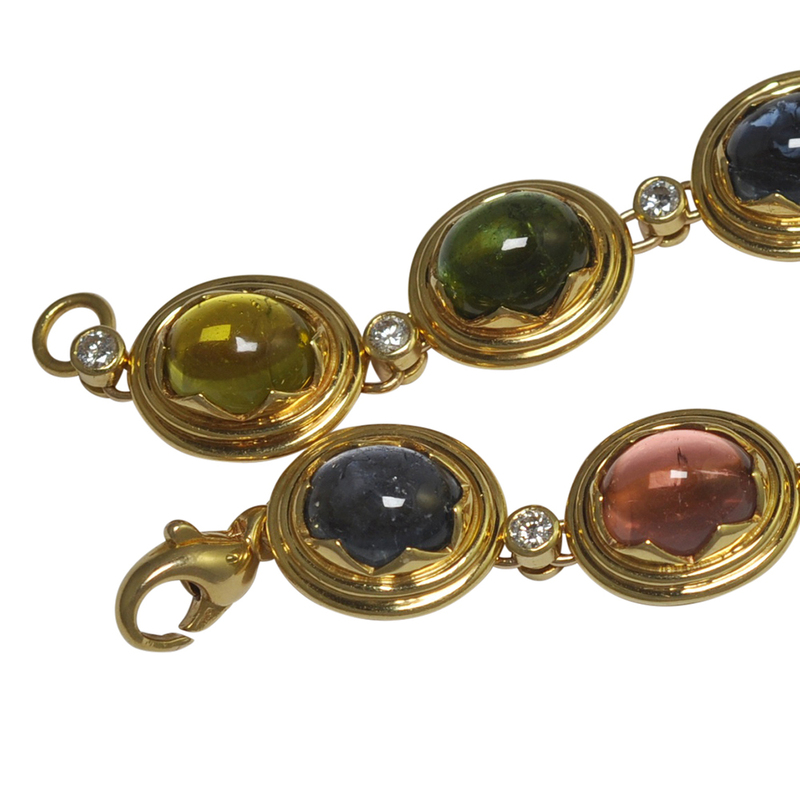 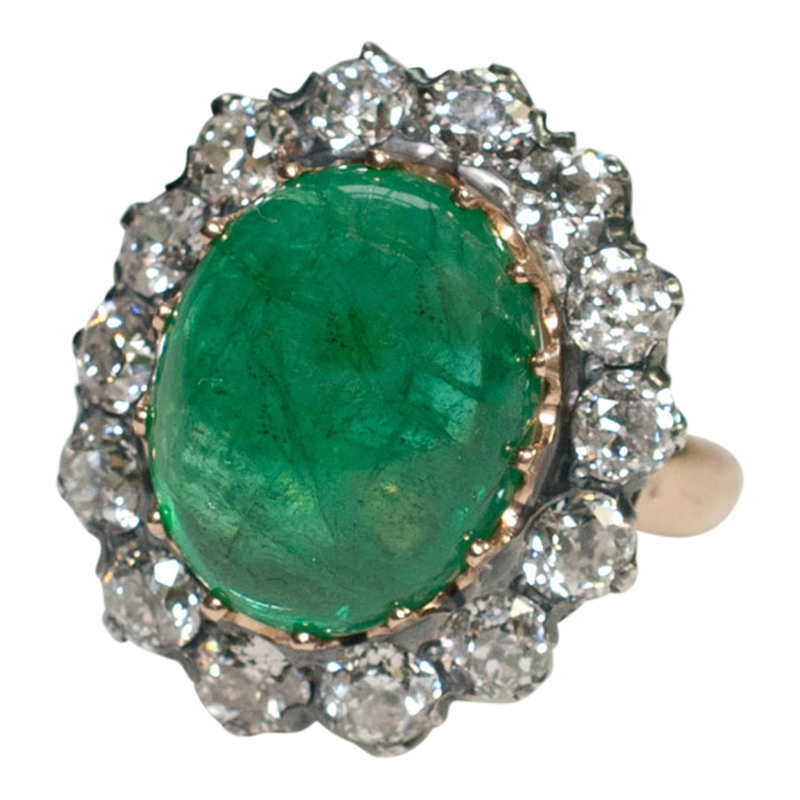 The 9 tourmalines are in pastel shades of pale blue, (indicolite), pink, lemon yellow and light green. 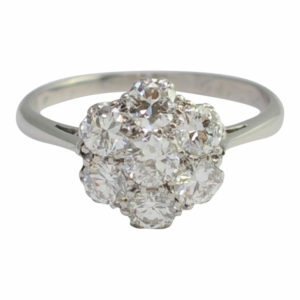 The brilliant cut diamonds are bezel set and weigh a total of 1ct. 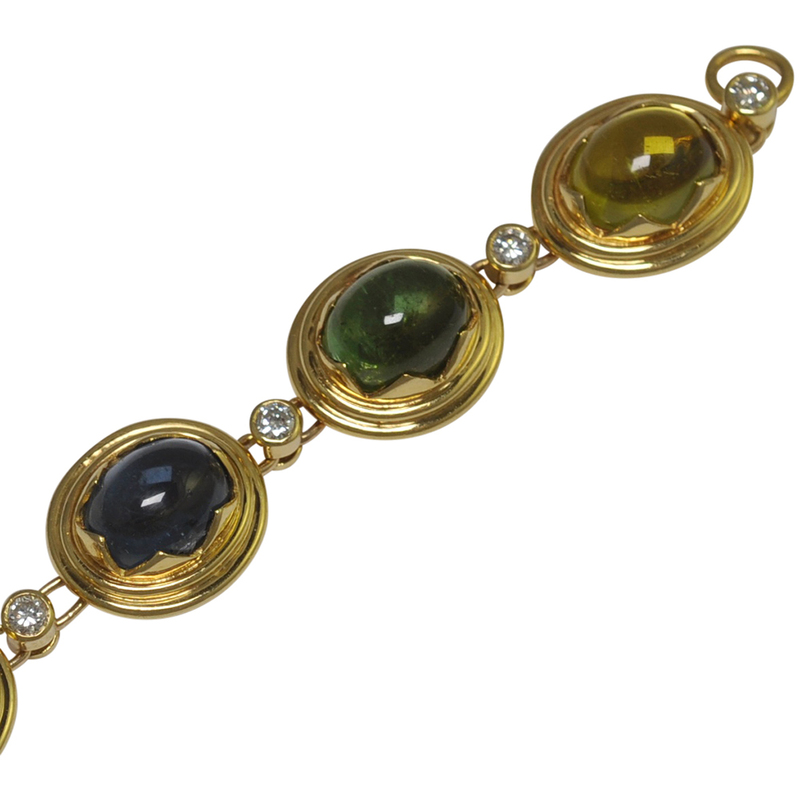 This bracelet is extremely fluid as each section is independent of its neighbours, being linked to the interspacing diamonds and it closes with a lobster claw clasp. 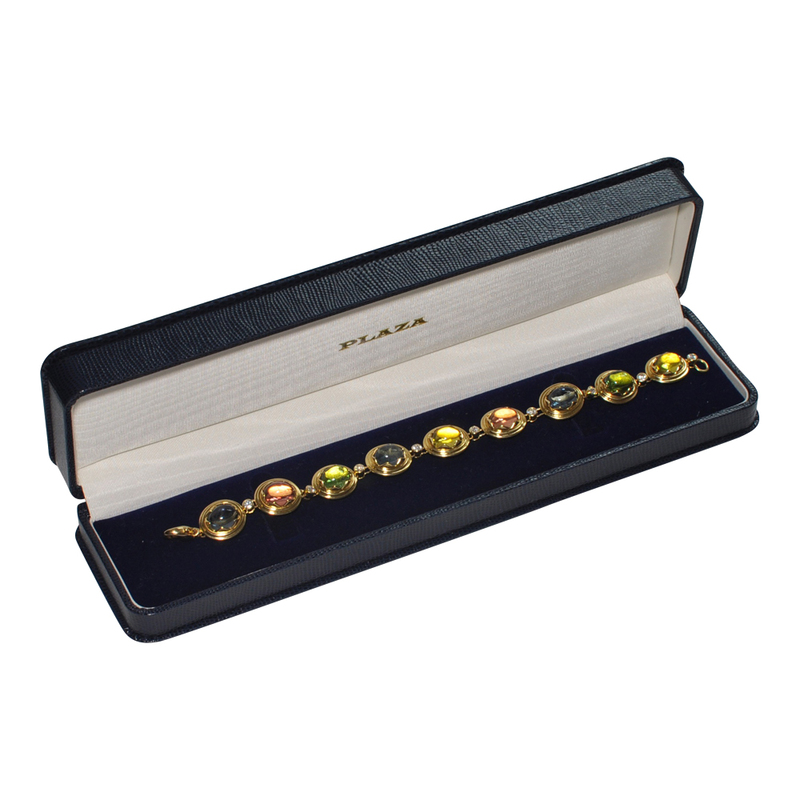 Weight 35.5gms, length 19cms, diameter of each lozenge is 1.25cm x length 1.5cm. 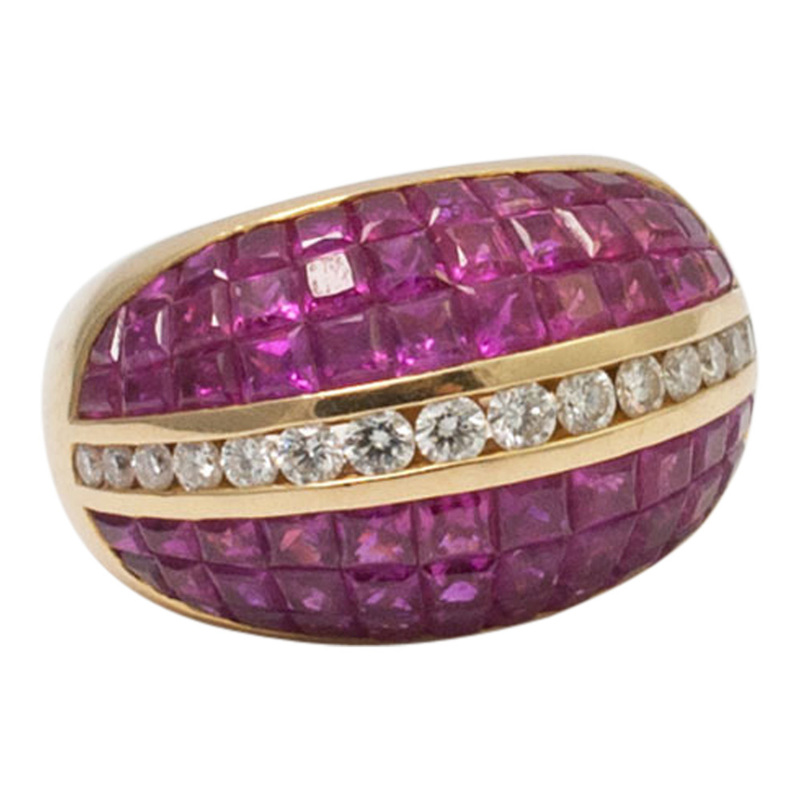 Stamped with the French 18ct gold mark (Eagle’s head). 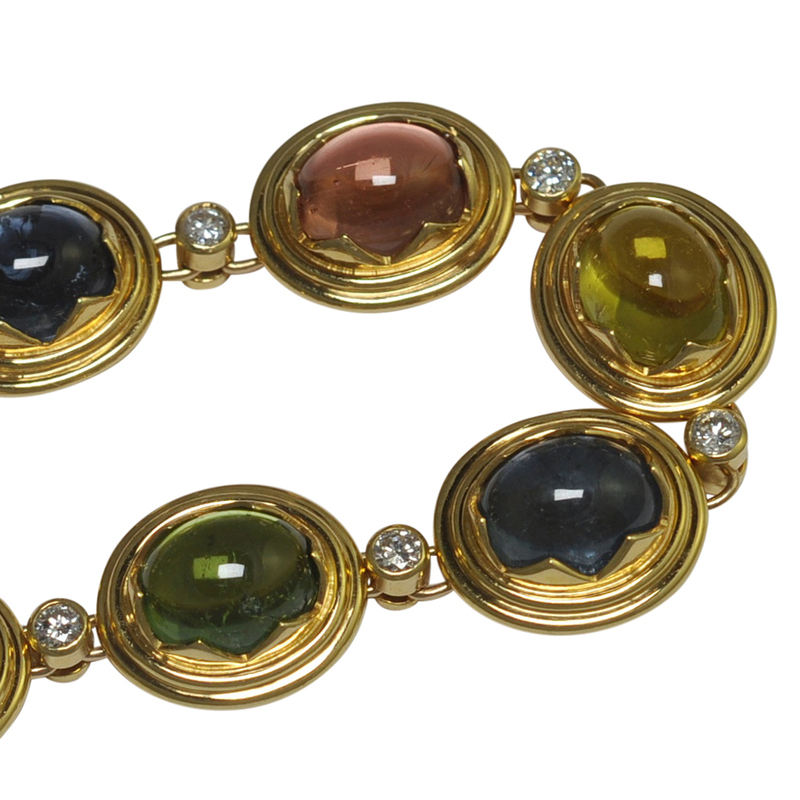 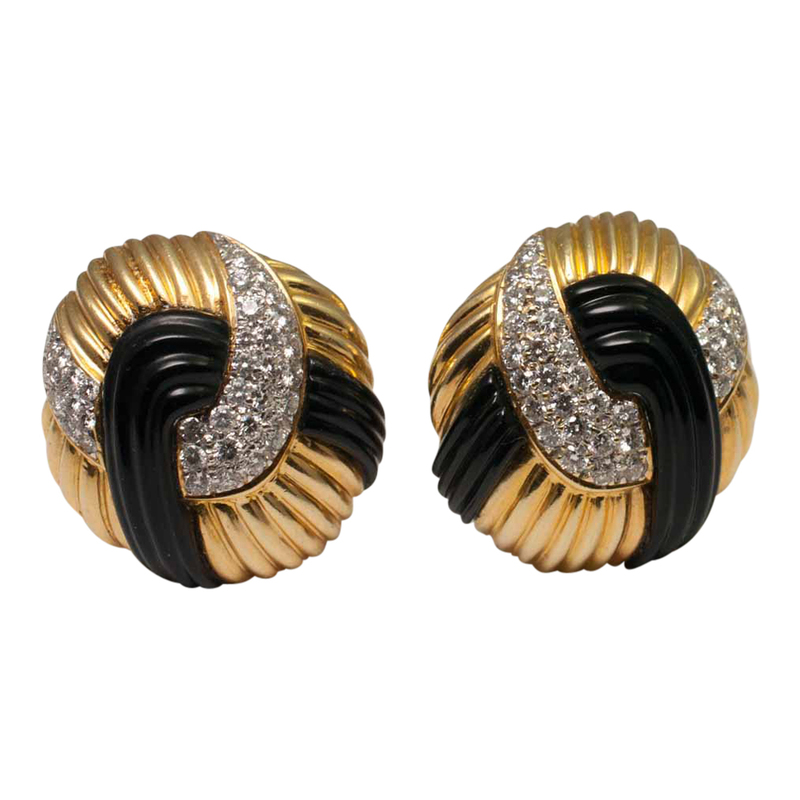 C.1970s – 1980s and in excellent condition.